Feel it. Don’t just talk about it. 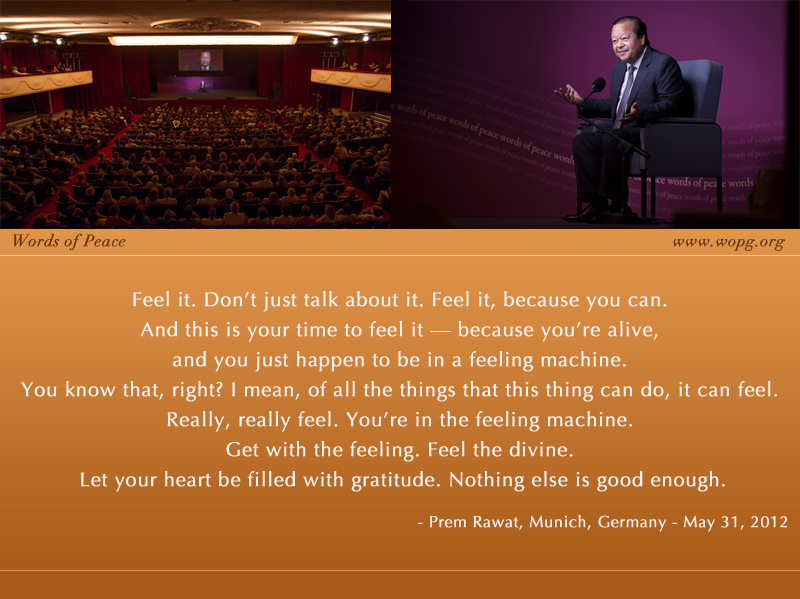 Feel it, because you can. and you just happen to be in a feeling machine. You know that, right? I mean, of all the things that this thing can do, it can feel. Really, really feel. You’re in the feeling machine. Get with the feeling. Feel the divine. Let your heart be filled with gratitude. Nothing else is good enough.